Woo! 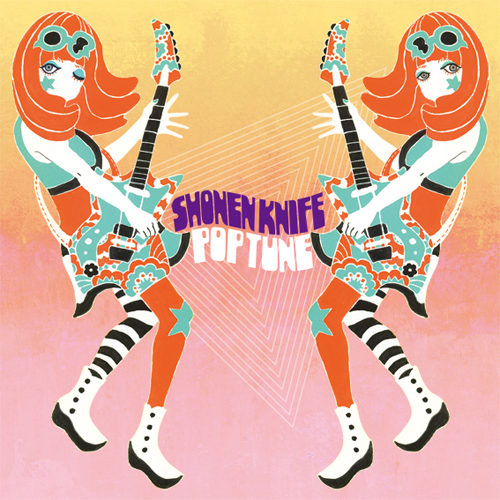 Today we’re anouncing the release of Shonen Knife’s new album POP TUNE out on Damnably in Europe from 6th June! The album will available on CD and digital download. Featuring ten original songs, including ‘Osaka Rock City’, which has been selected as the theme song for the movie adaptation of Robin Nishi’s”Soul Train Flower” directed by Hiroshi Nishio and out in cinemas in Japan later this year! Ritsuko takes lead vocals on “Sunshine”, and Emi takes lead vocals on “Psychadelic Life”, this could well be their first full band masterpiece yet! Orange version artwork by Mami Saitou for our UK/EU version! You can pre-order the album from our webshop!